Would you like to wow your pint-sized guests with a kids’ party food idea that has proven to be a favorite treat at countless birthday parties? What if you could multiply that success by two? 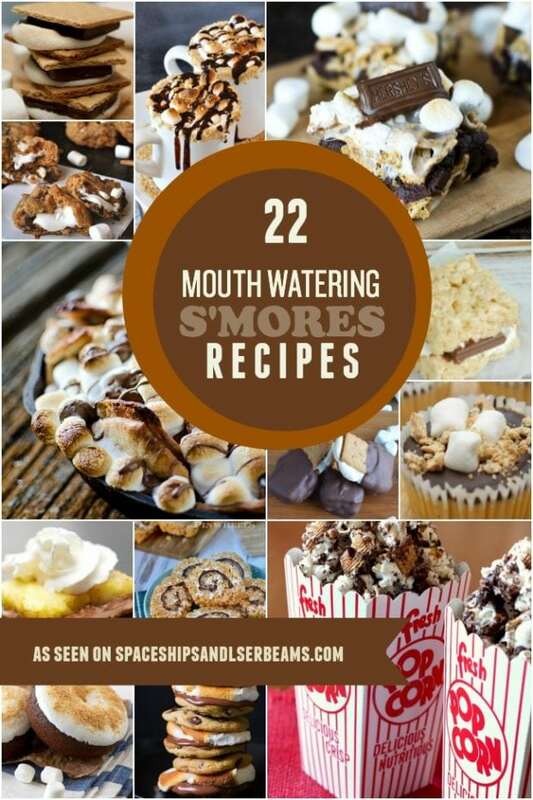 22 mouthwatering s’mores recipes your whole family will love. The most amazing s’mores brownie bar recipe. 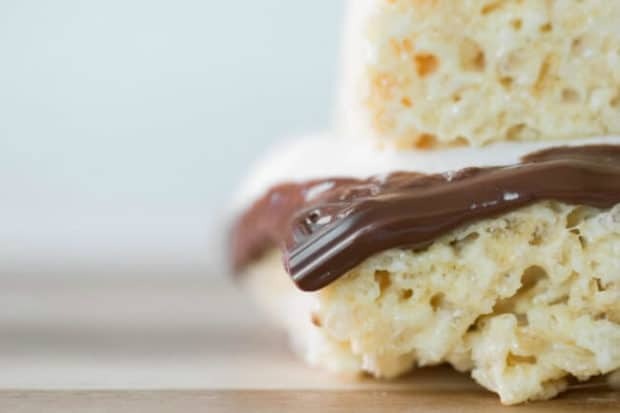 You’ve just found it: the marriage of Rice Krispie Treats and S’mores! 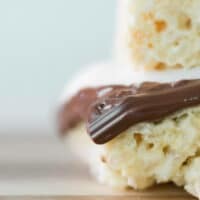 In this season of autumn campfires, I don’t think you could choose anything more popular for kids or adults, but you can forego the campfire and use a microwave to make these ahead of party time, too. A platter full makes a terrific display on a dessert table. Either way, you can be sure these treats will disappear faster than a Halloween ghost! You can also take these outside for a campfire marshmallow roast. Just substitute the Rice Krispie treat for graham crackers. The kids will love ‘em. 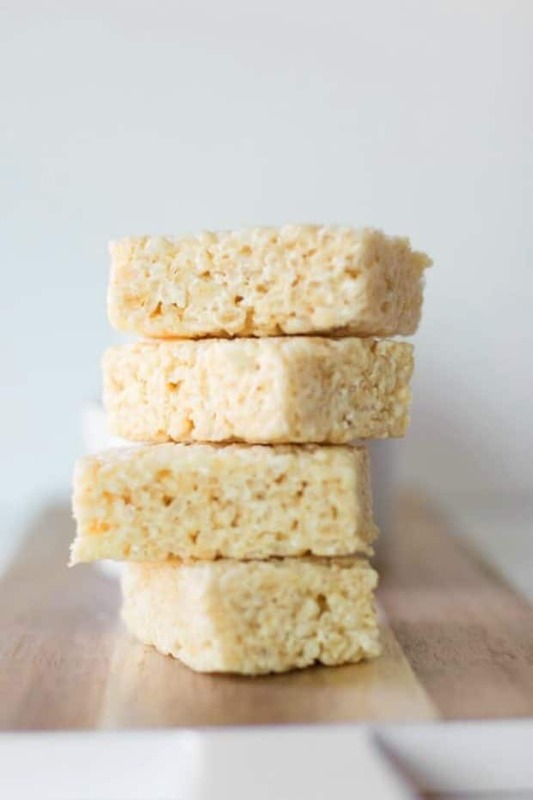 Make your favorite Rice Krispie treat recipe. They all use a combination of butter, marshmallows (or marshmallow cream) and Rice Krispies. 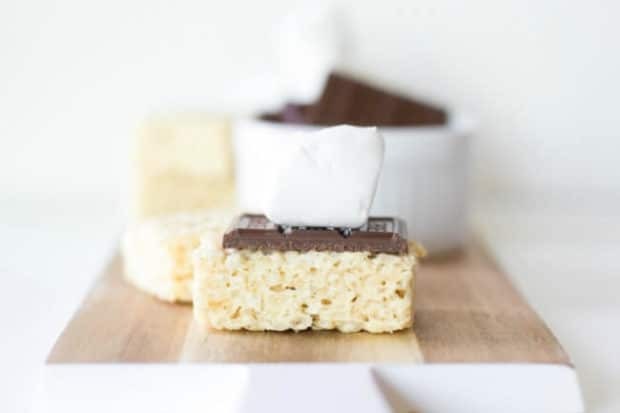 For the microwave version, you will want to put a plate under the Rice Krispie square. 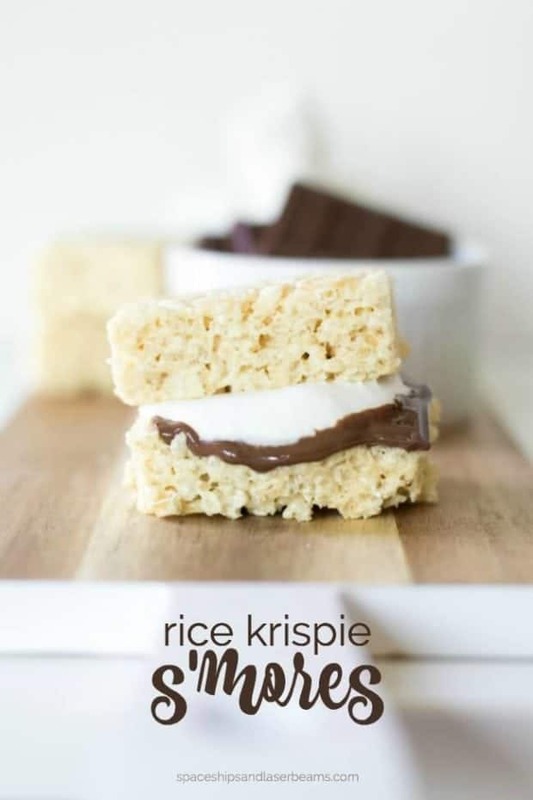 Place a couple of pieces of the chocolate on one of the Rice Krispie treats; add a marshmallow. enjoy watching the marshmallow do the shimmy. Top it with another Rice Krispie square but let it set for a couple of minutes because it becomes very soft in the microwave. You can also take these outside for a campfire marshmallow roast. Just substitute the Rice Krispie treat for graham crackers. The kids will love 'em. Bake something sweet with these great sources gathered by the crew at Spaceships and Laser Beams. My boys love s’mores but these take them up a notch. So delicious!